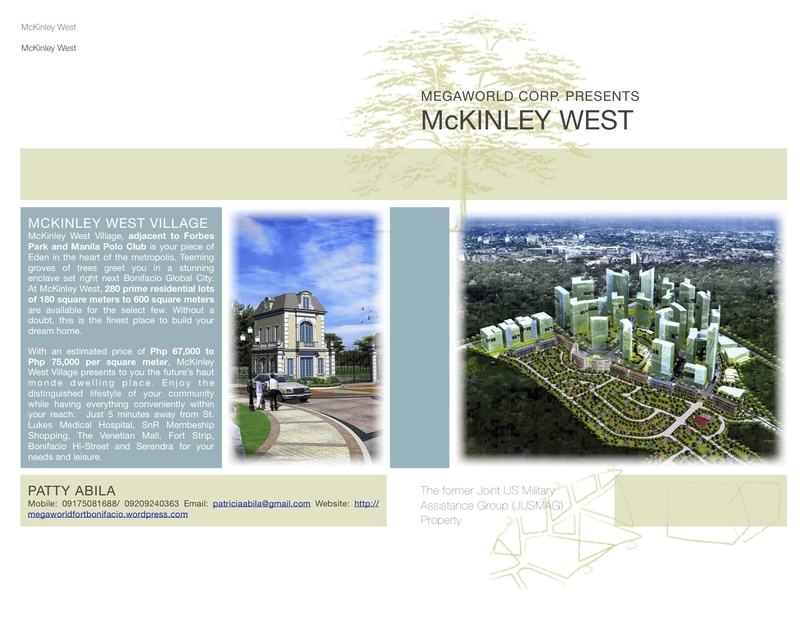 Showcasing Megaworld’s expertise in building large-scale and value-oriented real estate, Megaworld will be launching the today’s sought-after enclave – McKinley West Village. 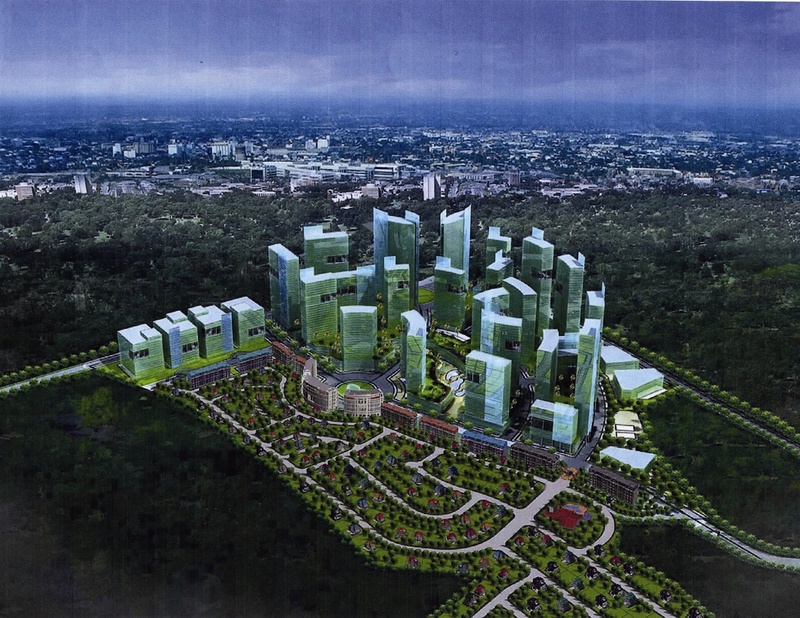 Clearly making it’s mark at the country’s most promising real estate location – Fort Bonifacio. In today’s economic landscape, properties can prove to be a very reliable investment tool not only by shielding your money from inflation but also by providing income and appreciation in value over time. 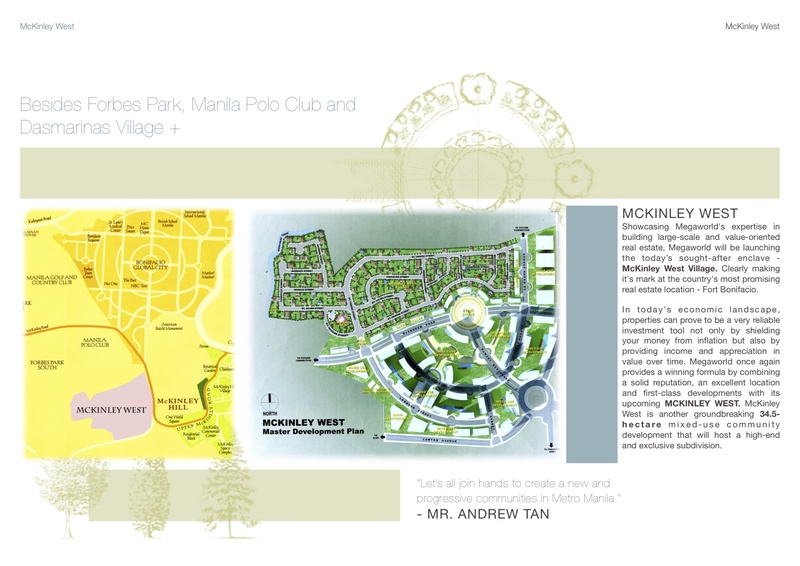 Megaworld once again provides a winning formula by combining a solid reputation, an excellent location and first-class developments with its upcoming MCKINLEY WEST. 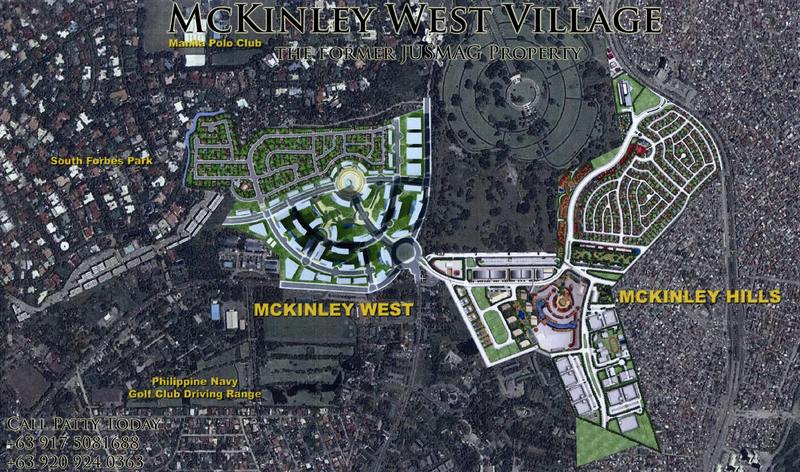 McKinley West is another groundbreaking 34.5-hectare mixed-use community development that will host a high-end and exclusive subdivision. 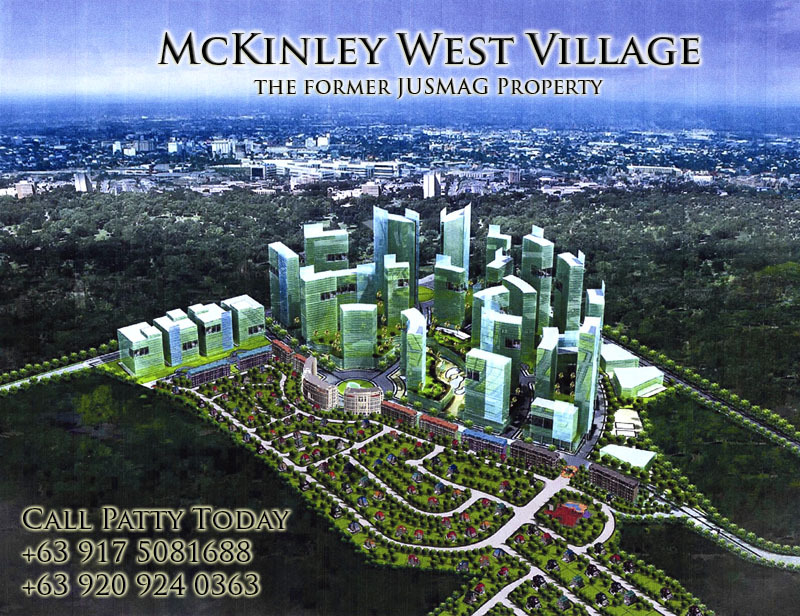 office space within Fort Bonifacio alone. within the most progressive part of Metro Manila. BPO segments of the real estate industry. 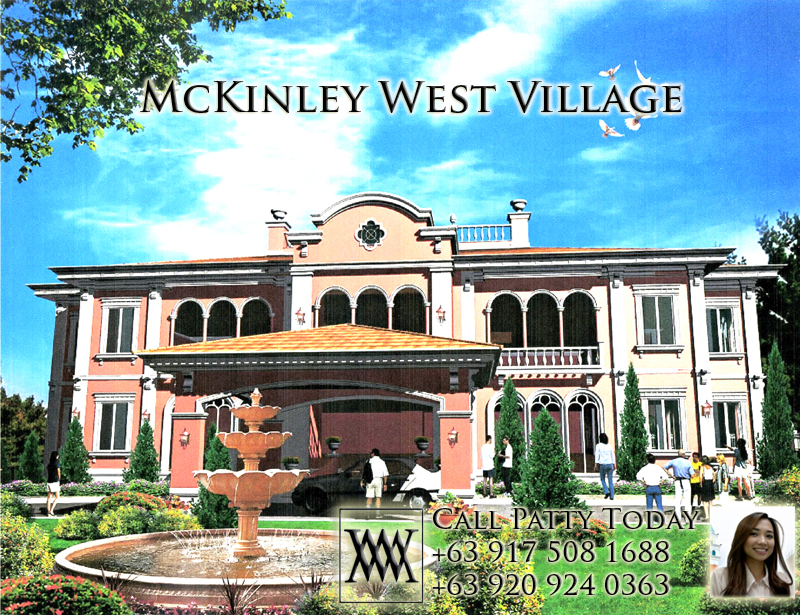 McKinley West Village, adjacent to Forbes Park and Manila Polo Club is your piece of Eden in the heart of the metropolis. Teeming groves of trees greet you in a stunning enclave set right next Bonifacio Global City. 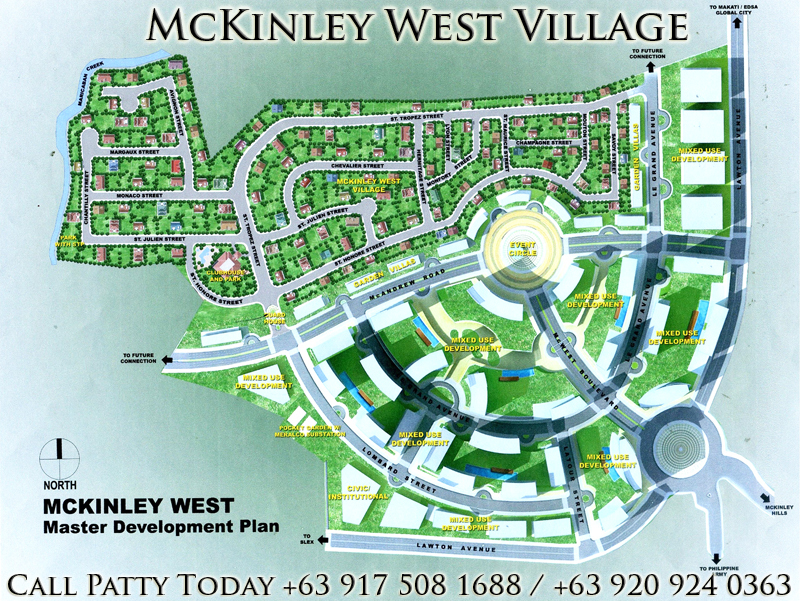 At McKinley West, 293 prime residential lots of 180 square meters to 300 square meters are available for the select few. Without a doubt, this is the finest place to build your dream home. 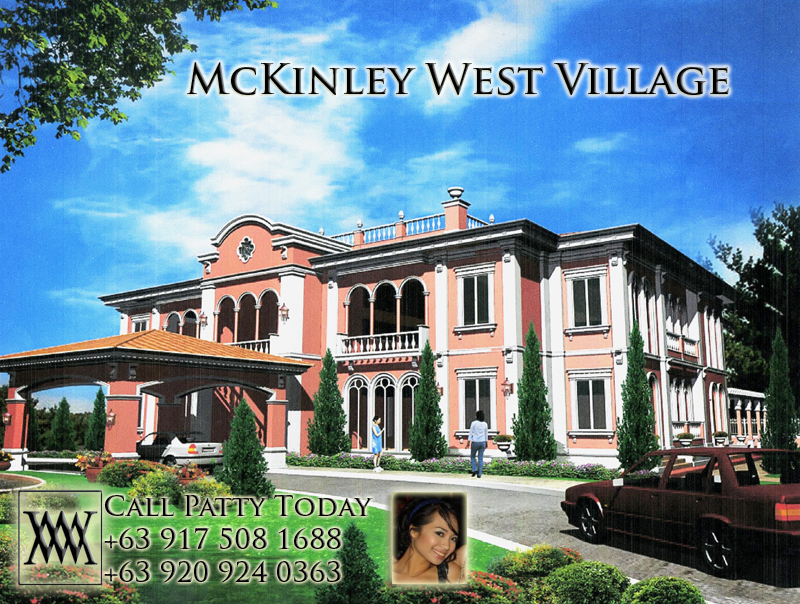 McKinley West Village presents to you the future’s haut monde dwelling place. 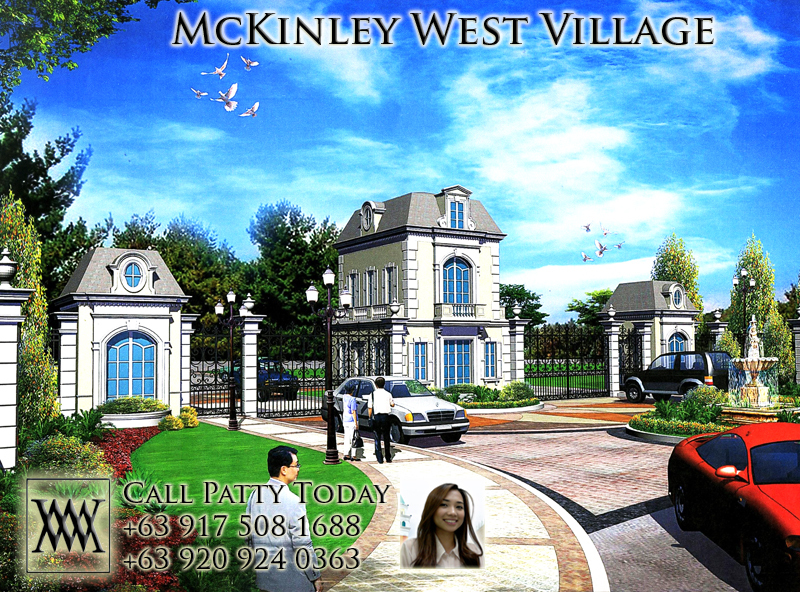 Enjoy the distinguished lifestyle of your community while having everything conveniently within your reach. Just 5 minutes away from St. Lukes Medical Hospital, SnR Membeship Shopping, The Venetian Mall, Fort Strip, Bonifacio Hi-Street and Serendra for your needs and leisure.